Saturday’s late Championship kick off sees Leeds Utd and Aston Villa face off at Elland Road. (KO 17:30). Boro head into the game unbeaten in seven league games and sit just two points adrift of top spot after coming from behind to draw with Preston in midweek. Tony Pulis’ have the best defensive record in the league having conceded just ten goals in 19 matches. With that in mind it’s unlikely we’ll see a repeat of Villa’s 5-5 thriller with Forest on Wednesday, in what was, arguably, one of the greatest Championship games of all time. 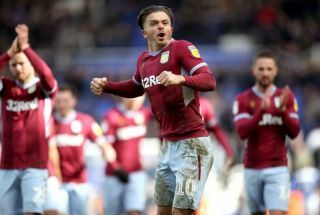 After a slow start under Dean Smith Aston Villa are now unbeaten in four league games and sit three points off the playoffs. Tammy Abraham bagged four of Villa’s five goals and had a fifth ruled out late on. The in-form striker is 13/2 to score first. Each of the last five clashes between the two sides have produced under 2.5 goals. So taking into account Boro’s excellent defensive record it’ll be no surprise to see a low scoring affair once again. Under 2.5 goals 11/10. Dean Smith is winless in his previous four encounters with Boro, losing two and drawing two, with both defeats coming to nil. Boro win to nil 9/4. With their excellent run of form and outstanding defensive record it’s no surprise to see Boro as the 11/10 favourites. Villa are 13/5 to pick up an away win while the draw is available at 23/10. This should be an intriguing matchup between the defensively solid Middlebrough and the free scoring Aston Villa. Its time to take a chance on the awayside – we’re backing the Villa away win at 13/5.